Swift & Reliable Auto Assistance Throughout Fort Worth! 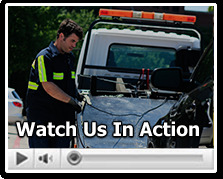 FW Towing and their network of licensed affiliates experts is a team of expert technicians who have years of experience and training in towing, the car lockout field, and a wide array of roadside assistance services. Your car won’t start? You may be out of gas, need to fix flat tire, or get a jump start. Fort Worth Towing technicians have the knowledge, skill, and equipment to get you up and running again quickly and safely. We offer a full array of auto services 24 hours a day. Call us at (817) 886-8332. All of the above services are available anytime and any day. Our customer service representatives and technicians are standing by 24 hours a day to provide immediate care. Our drivers have the training and knowledge to examine your car to assess the damage. If possible, they will make the necessary repairs on the spot, saving you money you would have otherwise spent on towing and garage fees. As a reminder, if your car won’t start, if you are out of gas or need to fix flat tire, it is highly recommended to call a professional. You may not be able to detect the root of the issue or know how to safely change a tire. Besides having years of experience in the field, out technicians are continually trained on new technologies and updates. So, whether the solution is to fix flat tire, jump start battery, or deliver a car replacement battery, you can count on FW Towing Fort Worth. Keep our phone number in a safe place in case you are need of roadside assistance from a reliable and affordable towing company. (817) 886-8332.